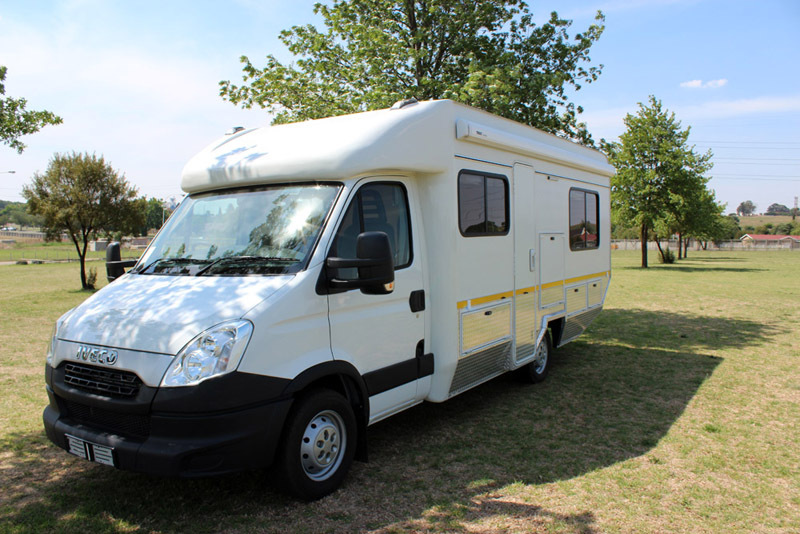 The Iveco 35S Single Cab is an excellent base for an Aloe Caravans motorhome, and is typically used by couples or small families traveling the country. 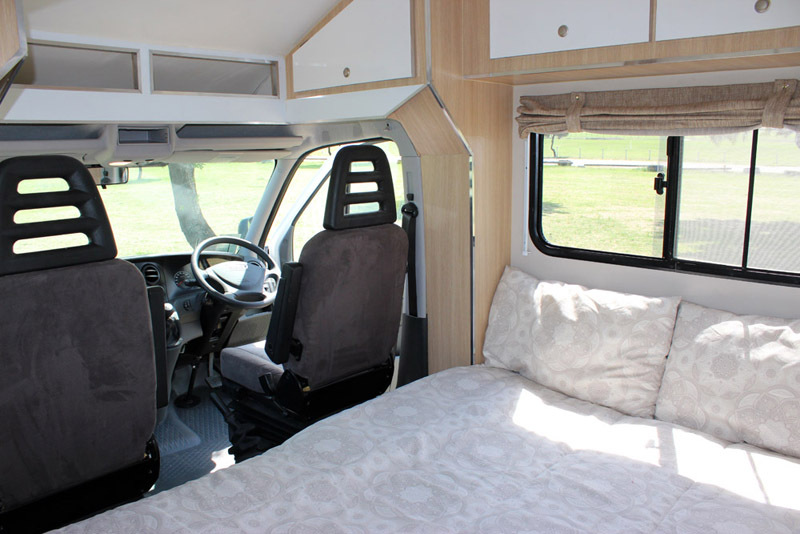 With the single cab configuration, this allows a walkthrough from cab to living quarters (as seen in the images below). 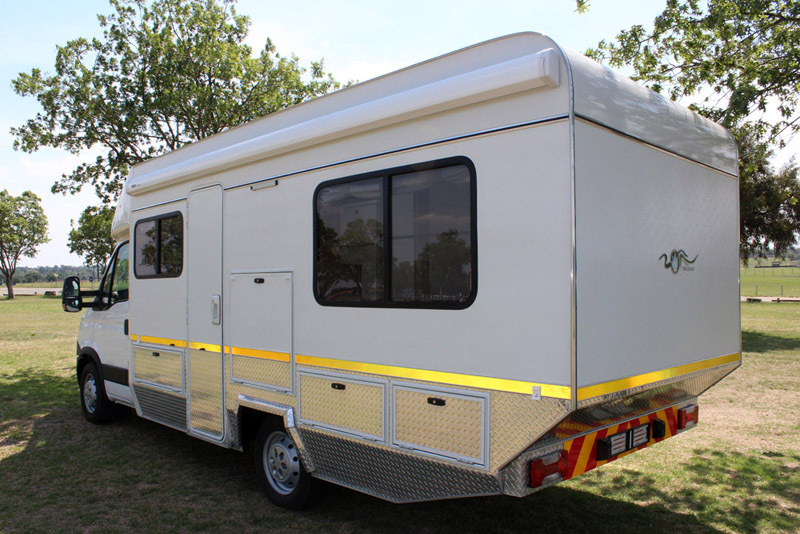 Customers will be able to order Custom Motorhomes to their specifications, made by Aloe Caravans. 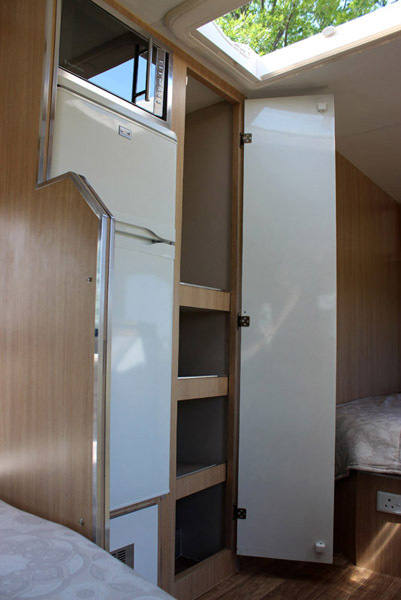 Please contact Aloe Caravans directly should you wish to find out more information on available models and designs. 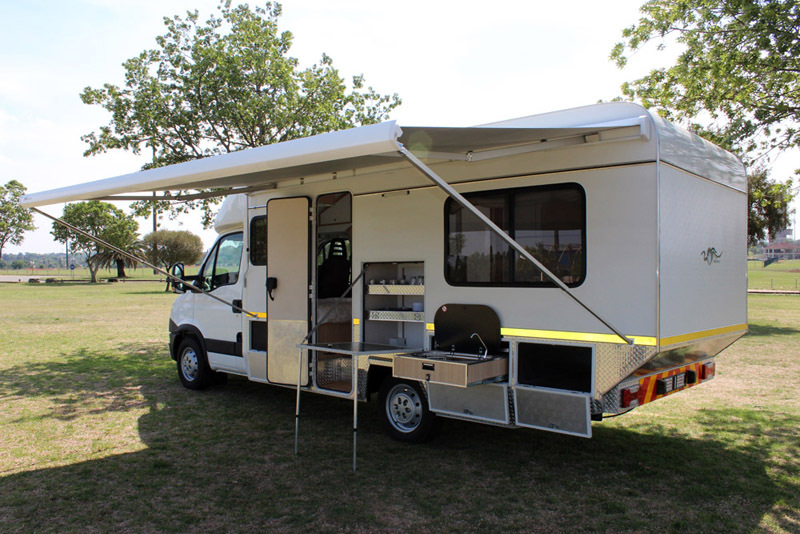 Motorhome conversions are available on Mercedez Benz or Iveco platforms, for tar road or extreme 4x4 campers. 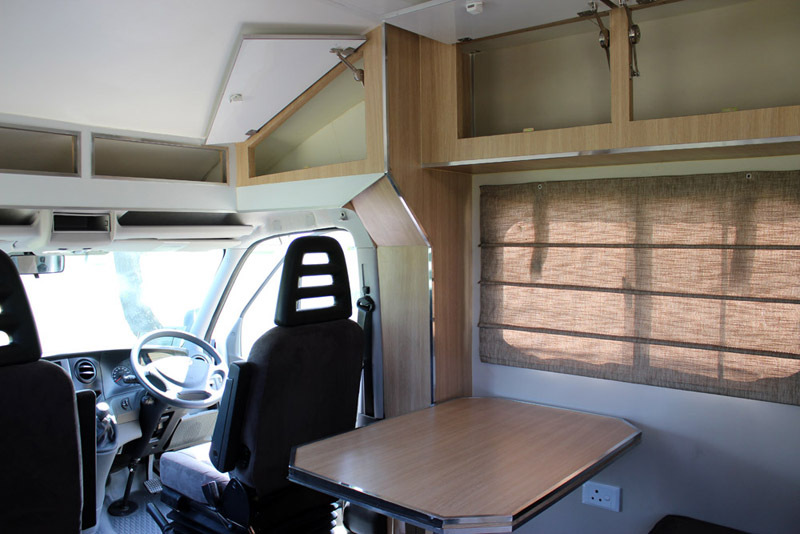 The features listed in the model below are not standard to all motorhomes, and will vary per custom build. 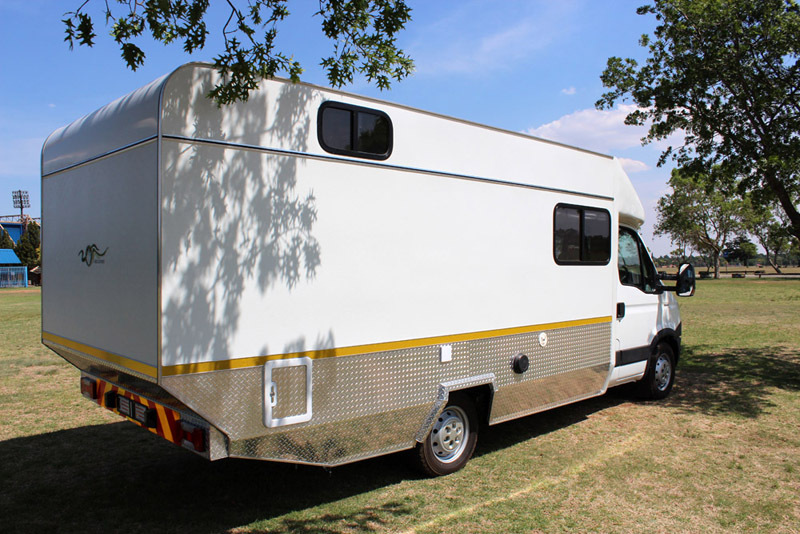 Custom built Iveco 35S Egoli 4-sleeper Camper. This vehicle is rated for tar road and maintained gravel roads. 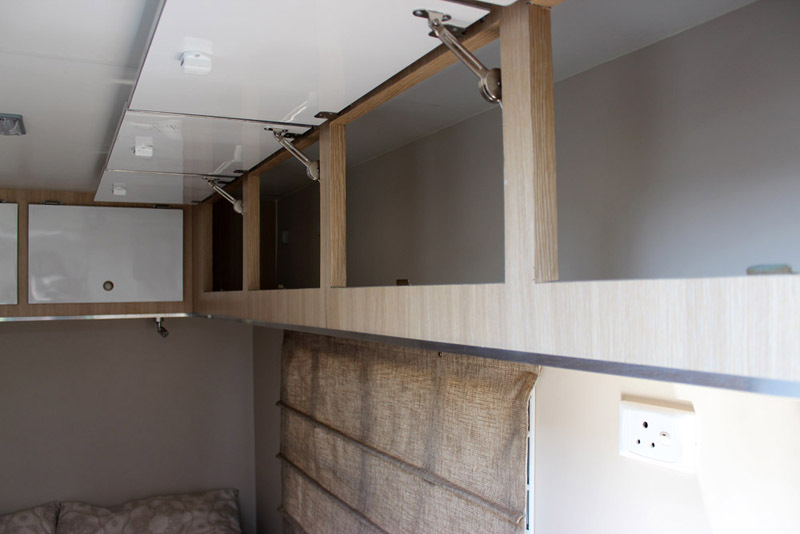 It is important to remember that each Aloe Caravans Camper is unique, and features will vary per custom build. 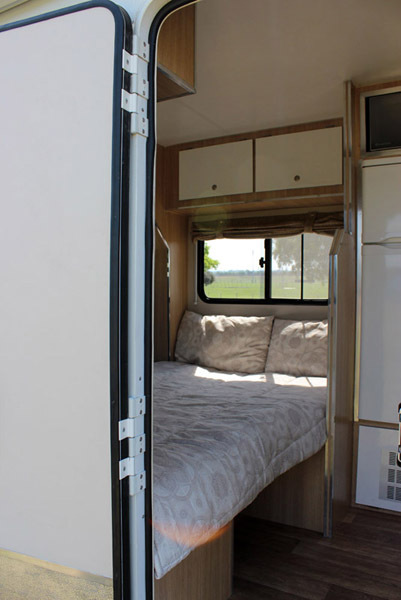 This photo shows the left hand side with 4 external openings, the main entrance door, a Tri-Colour LED light, a Thule Omnistor awning, and 2 large glass sliding windows. This photo shows the right hand side with the toilet cassette, 220V power input, geyser heat outlet, the water tank input and 2 glass sliding windows. 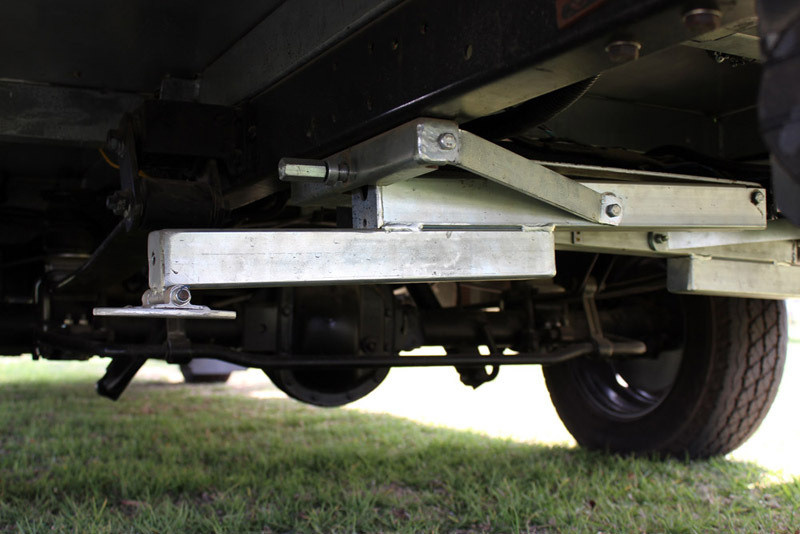 The Thule awning support legs can be secured to the floor with pegs, or onto the camper via the brackets provided. 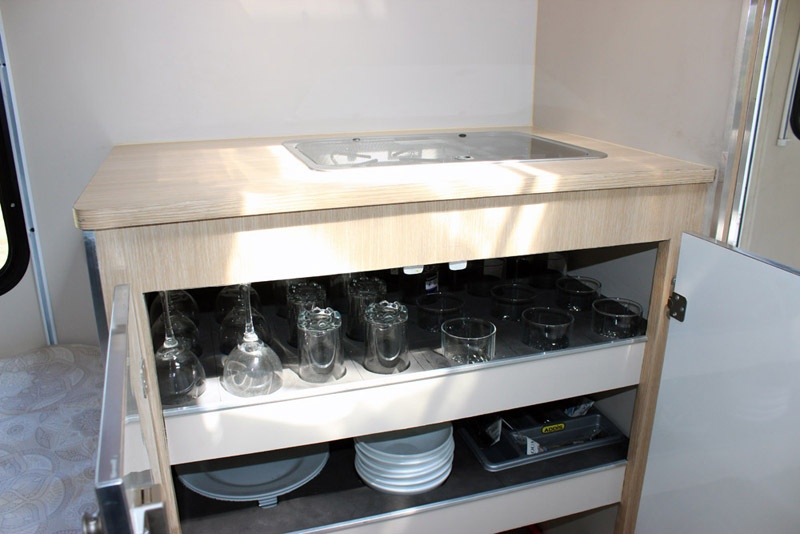 This unit includes a full exterior kitchen, with a Dometic 2 plate cooker and sink combo, as well as a fold out opening for kitchen glassware and cutlery. 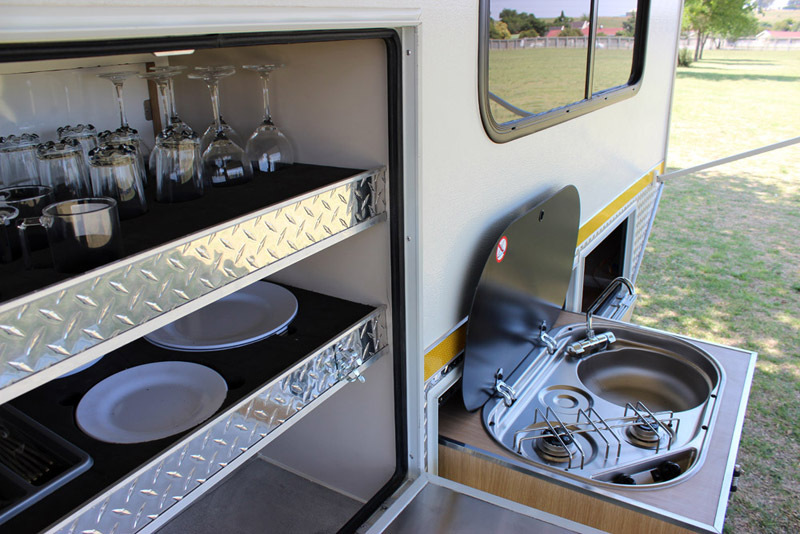 This kitchen compartment is accessible from outside and inside the camper. Glassware and cutlery is secured in foam cut outs to prevent rattling and movement during travel, with ample space for more kitchen utensils. A stainless steel pull out work surface is available to extend kitchen workspace. 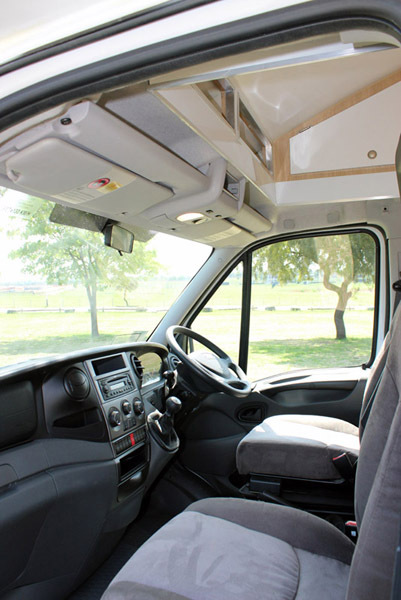 The main cab has an airy feel, with excellent headroom, and extra compartments within reach while driving. 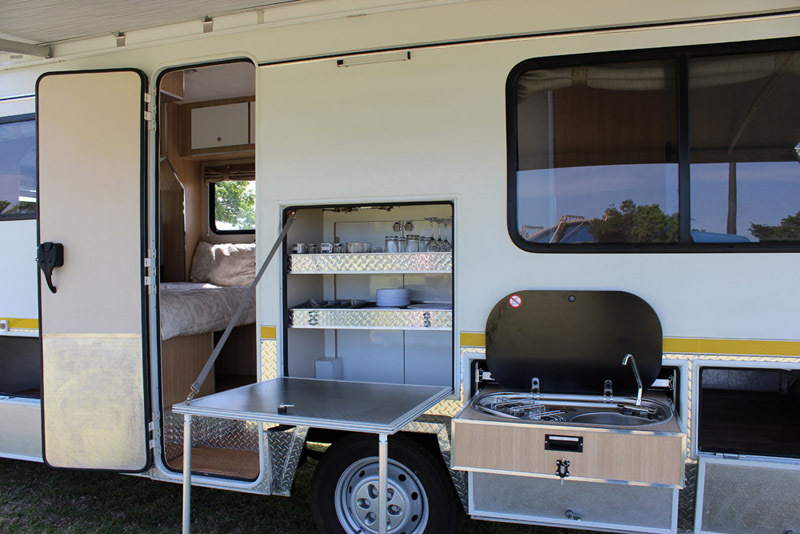 Entering the camper there is a dinette section that can be converted into a full extra length double bed. The bed dimensions on this model are 2100mm long x 1270mm wide, and tapering to 1120mm by the foot level. 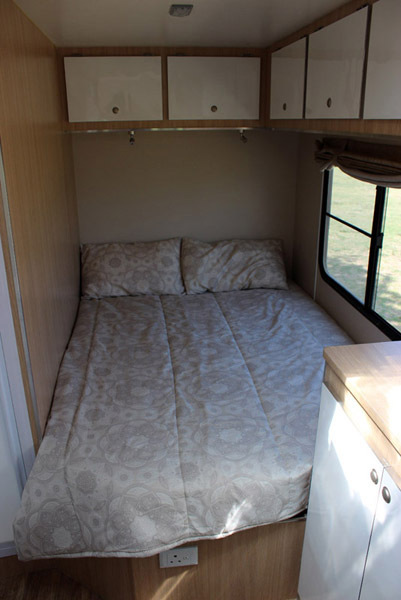 The double bed has windows by the head and foot side of the bed. All windows have built in Mosquito nets. 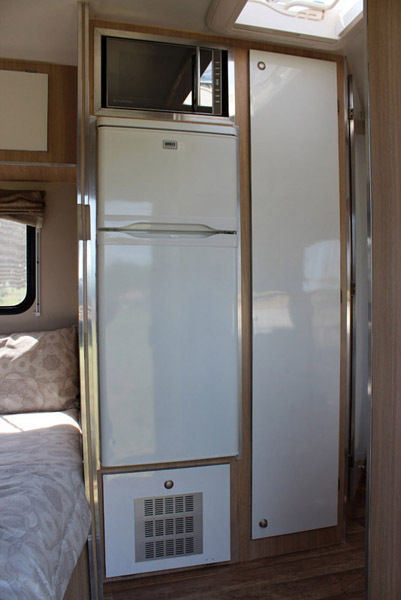 This unit includes a Russell and Hobbs 20L Mirror finish microwave, a 12V Waeco Fridge/Freezer combo, a maintenace hatch for the Hansen geyser and a hanging/clothes cubpoard. This unit features a large Dometic 700mm by 500mm skylight, with built in blinds and Mosquito mesh. 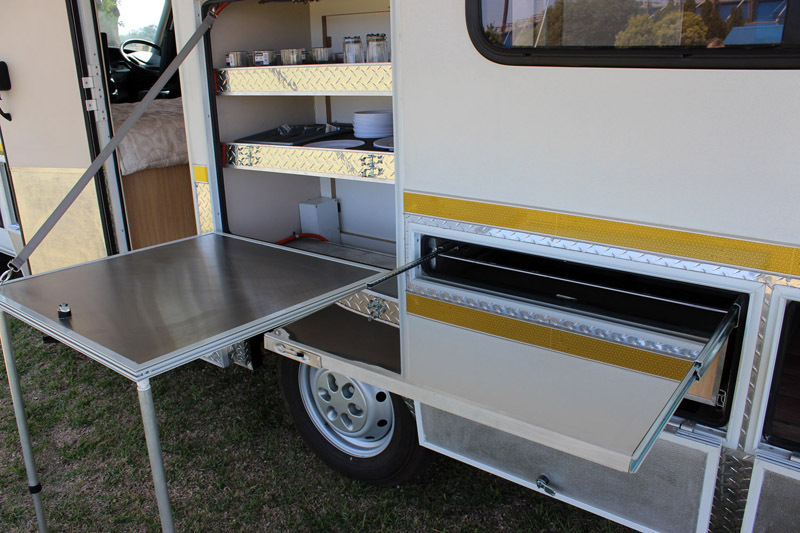 The kitchen compartment has a Dometic double plate cooker on the work surface, with glassware and cutlery accessible from inside the camper. The main double bed dimensions are 1950mm long by 1400mm wide. There is a massive amount of overhead locker storage, 2 adjustable LED reading lights, and a large window for excellent ventilation. 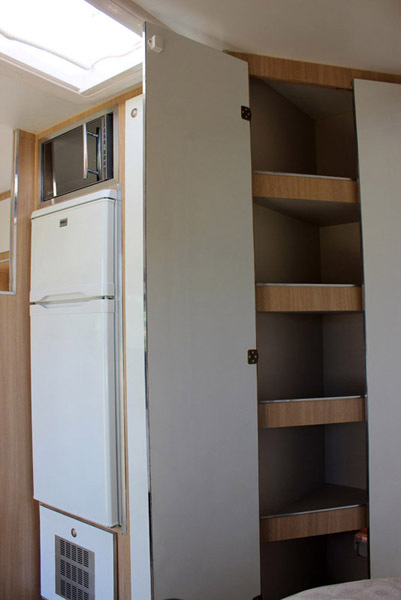 An additional cupboard boasts a large amount of packing space. 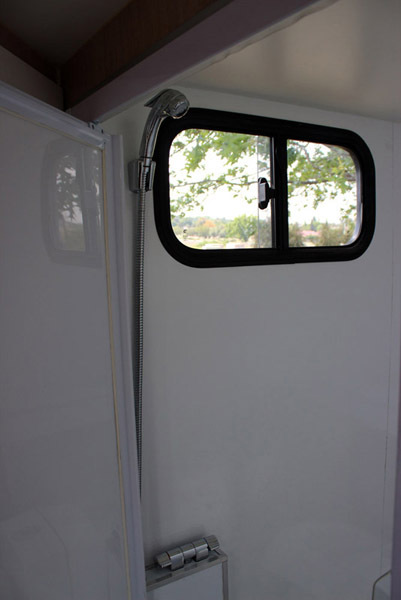 The bathroom features a full shower, toilet and basin combination. The shower head is detachable for ease of use, and connects to the 100L aluminium water tank and Hansen Geyser via a high pressure Shureflo water pump. The window will assist in letting out steam, and letting in fresh air. The toilet is an electric flush cassette Dometic toilet, with a swivel seat. This unit also features a basin and cupboard. To note: This unit does not have towel holders, mirrors etc. fitted, as this is largely personal preference that will be fitted when the unit is sold to the customer. 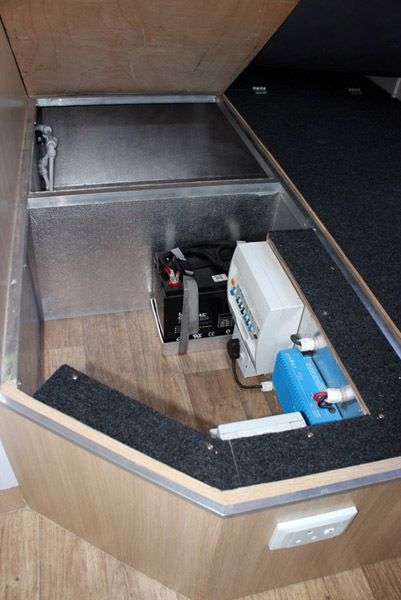 Under the bed there is the 100Ah battery, 25A Victron Energy charger and DB Board for electrical components. 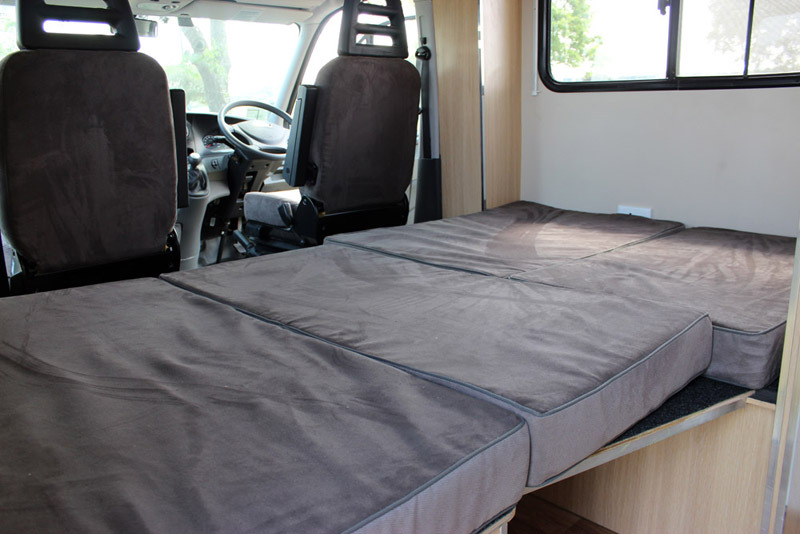 The double bed can be converted into a dinette with the same cushions provided, in an easy to use setup. 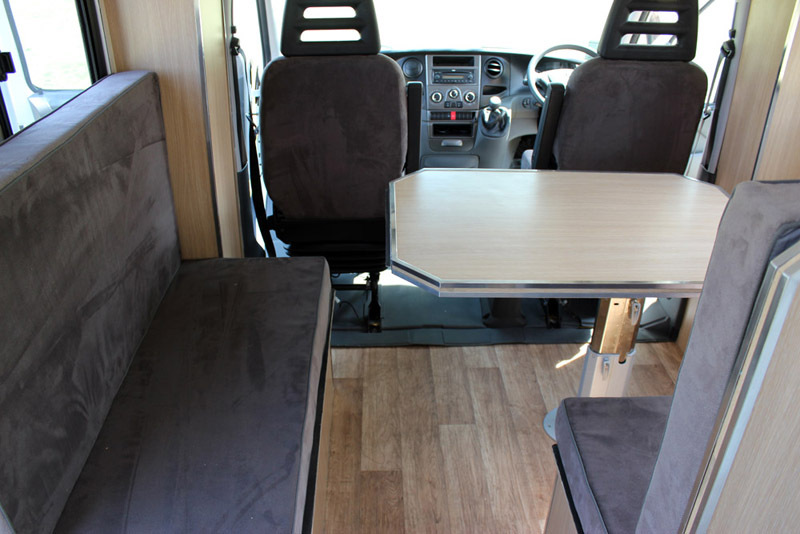 One dinette bench is to the left hand side, with ample space to walk through to the driving seats. The dinette table is fully adjustable and can move forwards, backwards and side to side. 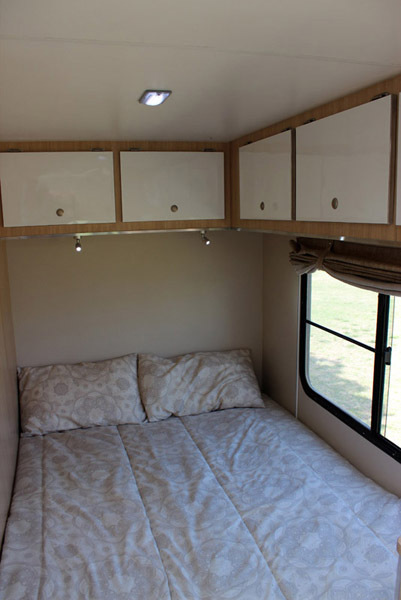 Roman blinds are featured in this camper. 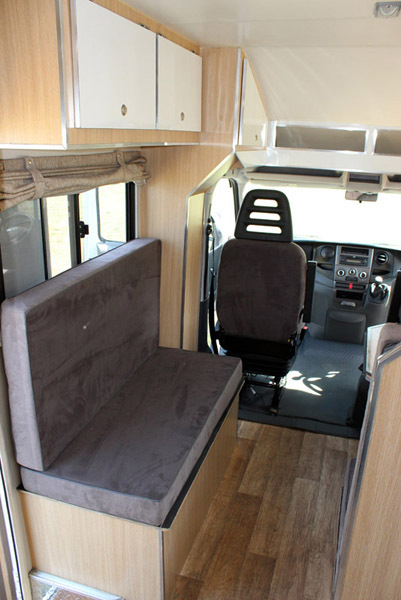 An option is available for the driver's seat to swivel and face the dinette table. All overhead lockers have stays to keep them open during packing. This unit features an automatic self leveling electric jack system. 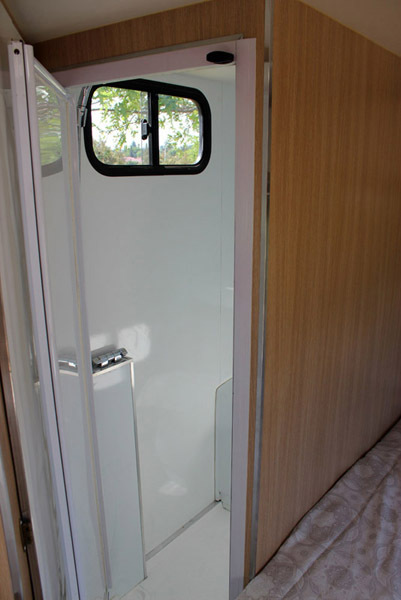 From inside the camper the customer can level the camper for extra stability while camping.